Frozen Summer Fun - What's It Like? This great show has an edition on the west coast, but the version in Disney’s Hollywood Studios (DHS) is the first, and possibly better. 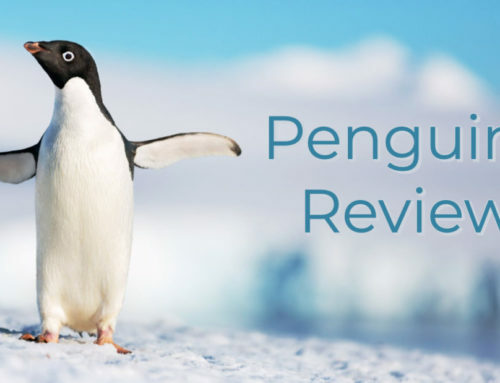 It features roughly the same plot as what’s in Disney California Adventure, which is that everyone’s waiting for Elsa to come by, and the royal historians go through the Frozen movie, stopping for musical interludes. There are some differences, though. Anna introduces the whole show at the beginning, and, thus, pops up more than in the California version. There’s a little different dialogue between Kristoff and the historians. The biggest difference between here and there is the set. There are some great in house effects that make the stage really transform during Let It Go. It’s much bigger and makes use of the full stage. Not that the one in the old Muppet Vision theater in California is bad, just not as big and able to accommodate all that this is able to. The historians really made the show here. It was a little obvious when they went off-script, but it was very welcome and hilarious. In all, both the historians and the set really made this show stand out. It wasn’t some kind of clone from the California (or is it the other way around?). This was a good show to sit and enjoy. 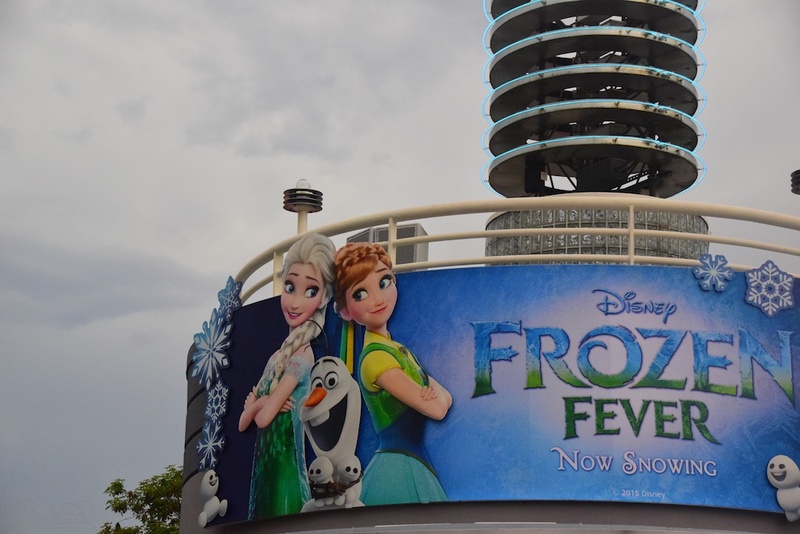 Not made for the summer event, but a fitting part of it all is a showing of Frozen Fever. This cartoon short first was shown in front of the newer Cinderella movie, and will be part of the Disney Shorts Collection debuting soon. Before the short is shown, a bit of a behind the scenes look is given where makers of the cartoon explain what went into visiting Arendelle again. With that, the short film is viewed. And that’s about it. But, it was a nice touch to have the behind the scenes. I always like seeing how some movies are made, so it was great to have this insight into the film. My only complaint is that I hadn’t seen the cartoon before, and the behind the scenes almost went through the whole thing before it was shown. I would’ve liked this insight at the end or with less revealing of what the plot is. I know it’s short, but I basically don’t want to watch it twice. Nonetheless, I liked that this was at DHS when the behind the scenes of animation is no longer shown at the park. Other than that, I really enjoyed the short film. It was great at advancing the characters more, and keeping humor and heart. Kudos to Disney animation. 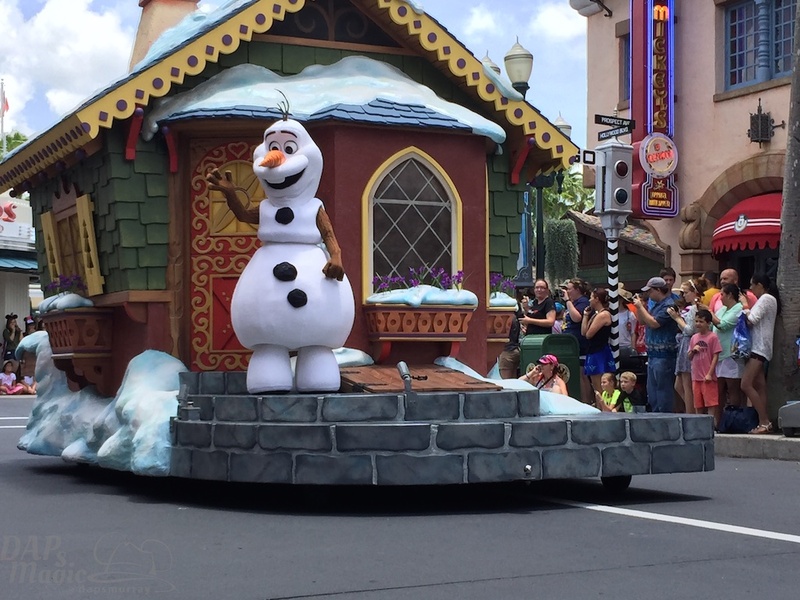 A small parade travels through the main route of the park twice daily for Frozen Summer Fun. 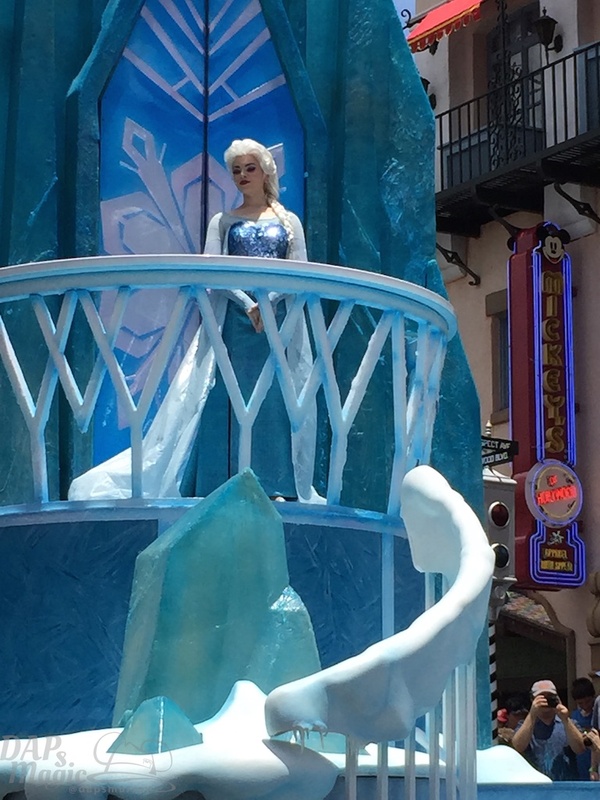 The idea is that DHS is welcoming the royal family of Princess Anna and Queen Elsa. So, with great float fanfare the two travel with their companions. This was a surprisingly fun parade. I expected just cars or carriages to take the crew through, but there were fully made floats for the parade! Having each character on a fitting display really made it a parade. 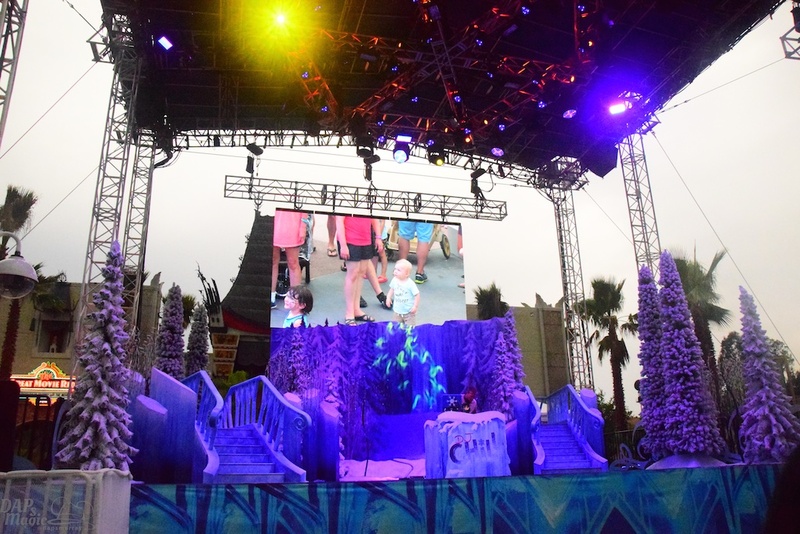 There is a show stop with Let It Go that had everyone be able to get a good look at the Frozen characters. I think it’s great that they have this when the movie is so popular and people want a lot of them all. It’s a great show stop, though mostly them walking around all the floats in a circle. I miss the parades that had that surprise to them, so it’s nice there’s this feature in something again. I’ll start with Olaf’s show. I didn’t catch the whole thing. It started with the song and dance routine of In Summer, and ended with everyone joining into dancing and singing. It was a nice midday show. It had a nice touch to it, but seemed very much for kids, more than adults. Still, I saw many who stopped to watch. The Dance Party went on at night. 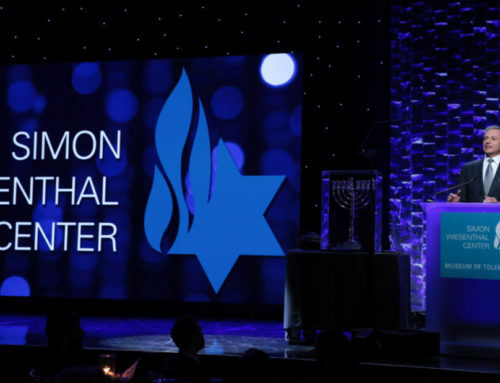 It was a great end to the night for a lot of guests, and a precursor to the fireworks show. A DJ was on hand to spin some tunes while lights and a screen made it a real party. On that screen were pictures from throughout the day. It made it a little interactive and drew people to take part with it. I’m a fan of fireworks shows. I have seen quite a bit of them. This was one of the best. It used music from the film and had the cannons fairly close for a fireworks show. When I watched, it was pouring rain. There was quite a delay, but well worth it. The only part I didn’t get to see was a stage performance that interacted with the fireworks. I enjoyed it all still. Most of the fireworks are shot off of The Great Movie Ride or near Pixar Place. 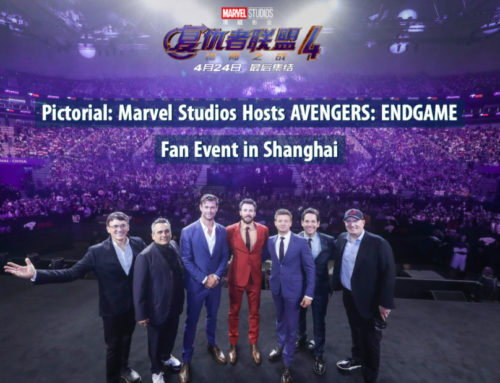 That means they’re in park and near the audience. That means it was cool! They were well timed and had some that I haven’t seen in any others. It was an exciting fireworks display that fit the word spectacular well. Now, I like Wishes, but I think of it as a good fireworks show. Frozen was a great fireworks show! One little tip is they will, on most nights, have the show. When I watched it was delayed about an hour because of thunder storms. But, they kept assuring everyone that the cannons were loaded and they had to shoot them off because of that. The solution was to wait until most of it passed. Like I said, it was worth the wait! There are a few food items that are just for the summer event. Cupcakes are located in many of the quick service eateries and bakeries. A couple of adult drinks are featured near the stage in front of Great Movie Ride. My favorite, though, was the Olaf’s Perfect Sundae Day which was at Fairfax along Sunset Boulevard. 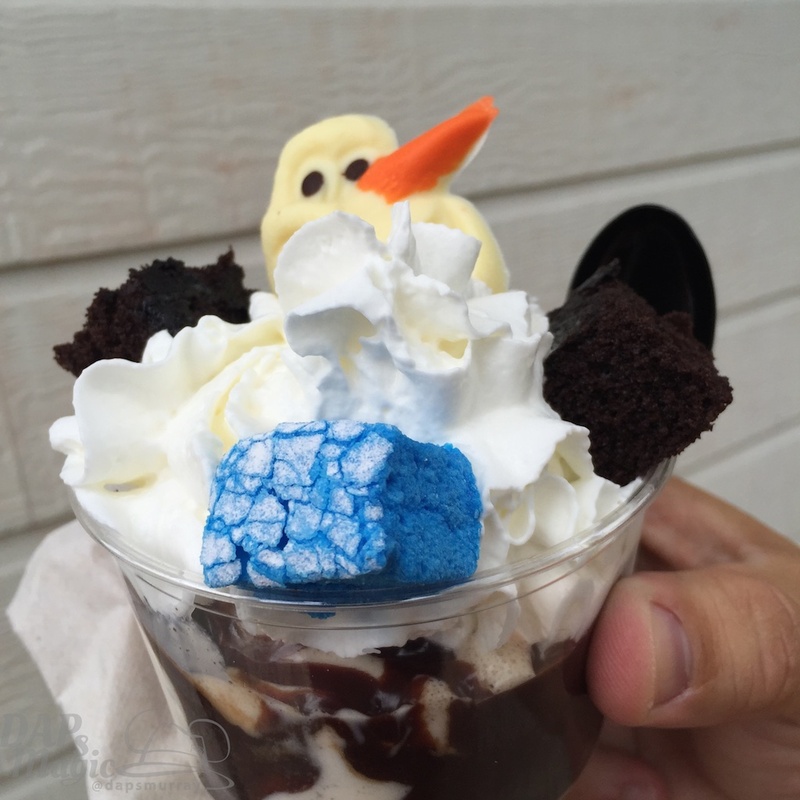 It had birthday cake ice cream, whip cream, a candy Olaf, and blue marshmallows! It was very tasty, and I didn’t get the birthday cake ice cream because they ran out. I’ll admit that I wasn’t joyous to encountering Frozen Summer Fun. There’s been a lot of saturation of Frozen stuff for me, and I would’ve rather something different be at the park. But, I found myself having fun at the event. The shows were terrific, much much better than I had expected. I got to see a short film I hadn’t gotten to before. Then there was the ice cream and fireworks! Two things I like a lot, but were even better with Frozen. Yes, it’s possible. I had a surprisingly good time, and would recommend attending it for anyone, even if you’re tired of Frozen there is something to enjoy here!